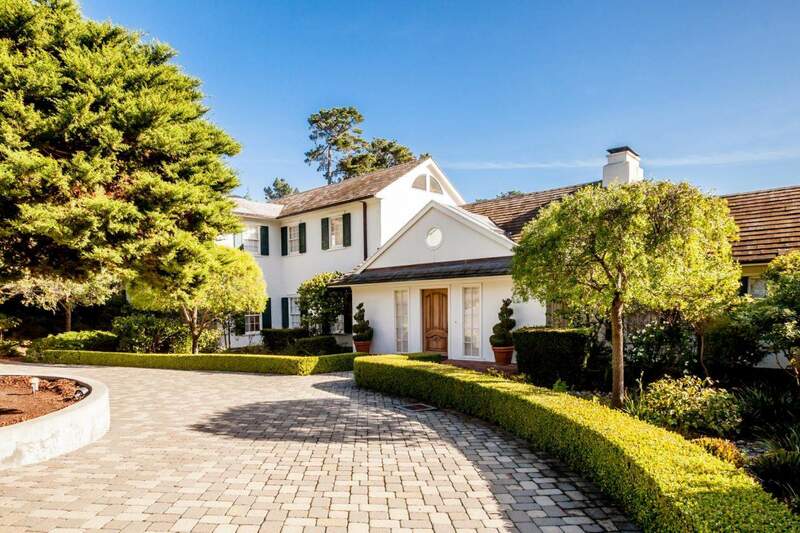 Beautiful Ocean view, 9 bedrooms, 8 full and 1 half bathroom home with 7,178 Sq Ft of living space, estate in Pebble Beach on 1.7 acre gardens with a fully contained separate guest house with kitchen, living room and guest bedroom. The home is within the renowned Carmel Unified School District and close to the private high school, Robert Louis Stevenson. Located in the sunbelt of Pebble Beach.